The first round of the FIA Karting OK and OKJ European Championship in Angerville, France, from 19th to 21st of April. 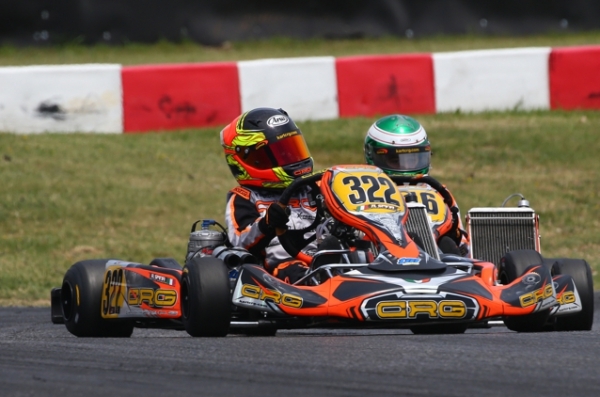 The CRG Racing Team ready to live a season as protagonist with its drivers. Qualifying heats on Saturday showed the pace of the main protagonists but Prefinals will be crucial on Sunday morning (at 11.45) to get the best starting places on the Final starting grids (at 14.20). Apulian Alex Irlando is ready for his third race in a row in Angerville (FR) on occasion of the FFSA French OK Championship. Kas Haverkort grabs the second place in the OK Final with the Zanardi team at the WSK Open Cup in Lonato. Good performances for all the CRG drivers in every category. The South Garda Karting circuit in Lonato hosted the new international meeting of the WSK Open Cup on June 24th, finding an excellent participation and competitiveness of the CRG drivers in every category. Amongst all, Kas Haverkort stood out in the OK class, on CRG-Tm with the Zanardi Racing Team, performing very well until reaching the second place on the podium, after a great final where the Dutch driver made the best absolute lap. Always in OK, Asia Mondino was instead forced to retire after being competitive for all the weekend in Lonato. Great performances also for Andrea Dalè and Emilien Denner (on Kalì-Kart) and the other CRG drivers, Jean Luyet and Marco Valenti, in KZ2. The best result was achieved by Andrea Dalè with the second place in Prefinal-A and 6th in the Final, but also Denner could have reached much more than the 15thplace, if it wasn’t for some race contacts, after achieving the 5th place in Prefinal-B. Luyet ended in 22nd place from the 6th place of Prefinal-B, Valenti25th. The driver from Macao Chang Wing Chung ended in 30th place.Benjamin Tornqvist had to retire in Prefinal-B, after being 10th after the heats. 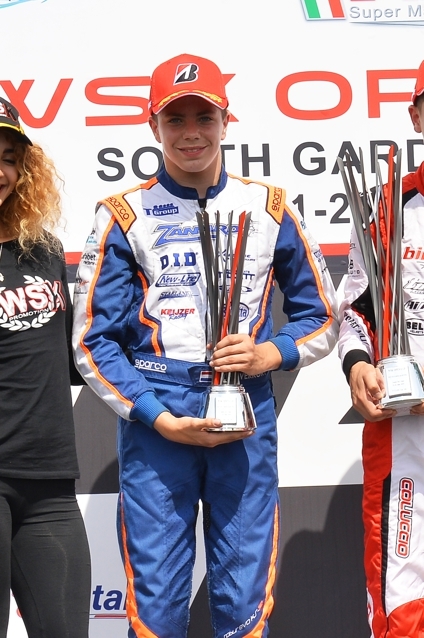 In OK Junior, Alfio Andrea Spina proved to be a constantly growing driver. The young CRG driver was always among the fastest, until reaching the 11thplace in the Final, ahead of the Dutch Robert De Haan. Enzo Scionti andEnzo Trulli were instead forced to retire, so as Christian Ho. Leonardo Bertini Colla couldn’t qualify for the Final due to an accident in Prefinal-B, so as Nikhil Bohra who retired in Prefinal-A.